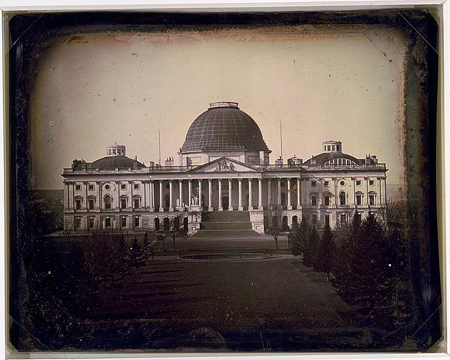 Today in History–November 18–the Library of Congress features French photography pioneer Louis-Jacques-Mandé Daguerre, born on this day in 1789. The daguerreotype was a convenient and effective process which rapidly gained in the United States. Learn more about Daguerre and the daguerreotype by visiting the Today in History section and following the links below. This collection consists of more than 725 photographs dating from 1839 to 1864, with portraits by the Mathew Brady studio making up the major portion; the collection also includes early architectural views by John Plumbe, several Philadelphia street scenes, early portraits by pioneering daguerreotypist Robert Cornelius, studio portraits by black photographers James P. Ball and Francis Grice, and copies of painted portraits.